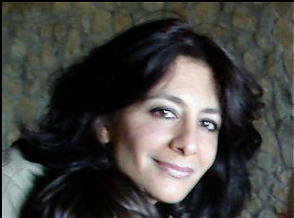 Artist and designer, Sharis Garabedian lives and works in Paris, France. She was educated in London, New York, and Paris. She has a Bachelor of Arts in History of Art and French Literature from Skidmore College, New York, USA, and a Minor in 18th century French Literature from Sorbonne University, Paris, France. She grew up in an artistic family and was given her first camera by her father at a young age. Growing up in many different geographical areas, Middle East, Europe, and being of Armenian descent, she absorbed the multiple influences that play a major role in her art. In addition to her inherited visual history and experiences which have led her to express herself in various mediums; in photography, color and textures of ancient and modern places, objects and nature are examined at close range recreating the subject of her photographs into new compositions, resonant of abstract painting.